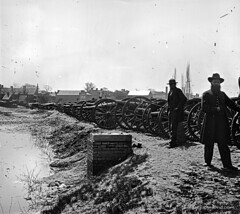 From the diary of William Ellis Jones, II, of Crenshaw’s Battery, Pegram’s Battalion, Hill’s “Light Division”, Lee’s Army of Northern Virginia. Christmas Morn broke very threatening, but cleared off beautifully and warm. The boys started at seven o’clock to go on picket, after which the camp was dull and lonesome. During the morning we were called up and paid off until the 31st of October; $119.10, for clothes and wages. After dark the boys of ours and other batteries enjoyed themselves by having a battle with lighted port-fires, which presented a handsome pyrotechnic display. Christmas has come and gone, and I sincerely hope I will never spend another in the army. William, my great-great-great-grandfather, would endure two more Christmases in the Confederate Army. 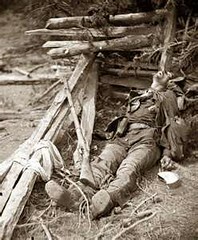 He was wounded at Spotsylvania in 1864, but miraculously survived the War, despite seeing hot action in some of the bloodiest battles of the Civil War, including Gaines Mill, in May/June of 1862, Second Battle of Mananas in August of 1862, the Battle of Sharpsburg, September, 1862, the Battle of the “Crater”, in Petersburg, July, 1864, Vicksburg, Second Battle of Fredericksburg, Gettysburg, and finally was present at the Fall of Richmond, in April, 1865. 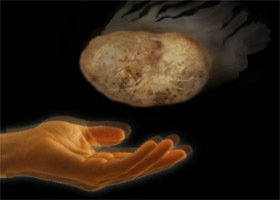 Responsibility and Motivation remain the “hot potato” topics no one quite wants to handle. In response to the Friday, December 20, 2013, email I sent to Sarah Koonts and others (see 12/20/2013, Note #1, below), at the North Carolina State Archives, regarding the destruction of Franklin County records, an interesting – if not entirely satisfactory – exchange has resulted. I have published the email exchange below for your perusal. I encourage others to examine the responses and if you feel I have missed anything or arrived at ill-considered conclusions, please let me know ASAP. 1] Ms. Koonts (Director, Division of Archives and Records), generally seems to be laying the blame for the records destruction squarely on the doorstep of the Franklin County Officials (with other fingers pointing toward Angela Harris, Franklin County Manager). If the Heritage Society and Franklin County community were willing to take the risk, finance the salvage and preservation operation – who is the NC Archives (since you found no value in the materials) to prohibit such action – even if your organization felt it was a waste of time and resources? Why, if the contamination risk was so severe, did NC Archives feel safe in taking possession of fifteen boxes of materials? These two facts argue against one another. The logic is circular. That’s a command. And I feel it would be interpreted as such, coming as it did to the Franklin County Clerk of Court, Patricia Chastain, on State of North Carolina letterhead, bearing Governor Pat McCrory’s name at the very top. It looks and sounds like an authoritative command to me. 1] Who made the decision to destroy the documents? 3] Why was the decision to destroy the documents carried out on a Friday evening, after regular business hours – with no prior notice to any of the interested parties? I still haven’t gotten to the nut of any of these questions. 1] I think I’m going to drop Angela Harris, Franklin County Manager at note, and see what she’s got to say about this mess. – Did she feel as if the decision to retain or destroy the records was hers to make, or did she feel like she’d gotten a mandate from the State? – Was there other pressure exerted from anywhere else, in regards to destroying the materials? – Who hired and paid for the Hazmat team? What did it cost? Was the County Board consulted? – Why was the confiscation of the materials carried out on a Friday evening, after regular official county business hours? 2] I’m certainly going to drop Patricia Chastain a note. 3] And even though she’s already posted a good deal about this, I think it would be worthwhile to try to get a more clear picture from Diane Taylor Torrent at Franklin County Heritage, what she REALLY thinks is going on here. I would certainly appreciate any additional thoughts and guidance on the issue at hand, and any additional interpretations of the communications thus far. I welcome all comments. As a citizen of the state of North Carolina, with ancestral roots in Franklin County, I was horrified to learn of the destruction of the newly discovered records in the basement of the Franklin County Courthouse. Since I am a taxpayer and at least in part fund your collective salaries, I feel entitled to a complete and thorough explanation of precisely how this decision was arrived at? Who made it? Why it was carried out on a Friday night with no prior notice? And, finally, what plans your organization has to hold the guilty parties responsible? The loss – of course – can never be recovered. The damage is done. Nevertheless, the perpetrators and co-conspirators should face the public, explain themselves, and face the consequences of their actions. This letter is being sent to the Governor’s office, to the N&O, and to WRAL, as well. I expect a timely response. We received your inquiry below regarding the recent destruction of records held by various offices of Franklin County government. I can only speak to the involvement of the Division of Archives and Records and our legal mandate to conduct records management programs in conjunction with state and local government offices. The State Archives is one of the oldest and largest state archival programs in the country and our collections are one of, if not the largest single collection of permanently valuable state and local government records in the country. We have been utilizing established professional standards for the appraisal of public records for over a century. In doing so we work with the records creators to identify records of long term or permanent value to the state of North Carolina. Records falling into this status provide legal, evidentiary, fiscal, or historical evidence of government and its operations. These records must be either maintained permanently by the creating office or transferred to us for permanent retention. The records not identified as being permanently valuable are under the care and control of the creating office. The Department of Cultural Resources is mandated by G.S. 121-5 to conduct a records management program for government offices within the state. In doing so we work with offices to create records schedules. These schedules identify each major series of records and then assign a minimum retention period. Once the minimum retention period is met, the custodial offices can either destroy the records as outlined in the schedule or they can hang on to them longer. No schedule mandates destruction of any records, it sets a minimum retention. As stated above, records with permanent value must remain in the office or be transferred here. If a government office has approved the application of the records retention and disposition schedule, they do not need to notify us of their destructions as outlined by the records schedules. Records not appearing on a records schedule may not be destroyed without our consent. In addition, one office may not destroy another’s records. So for example, the Register of Deeds may not destroy the records from the Clerk of Superior Court. 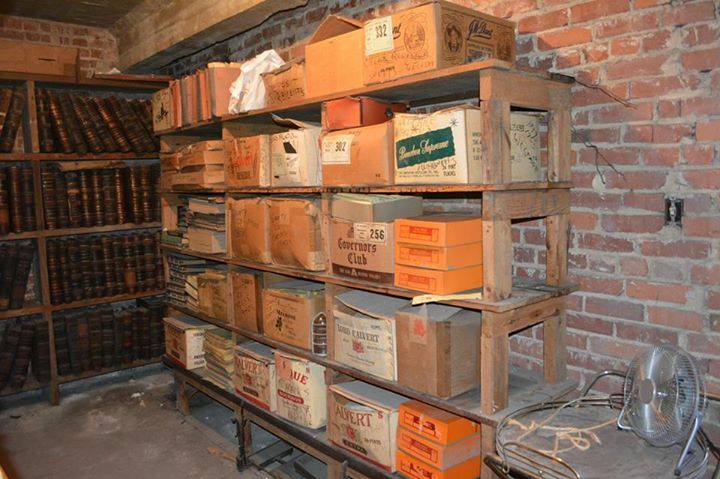 The records stored in the basement of the Franklin County courthouse originated in a number of county offices. Many of them were scheduled for destruction as far back as 1964. Others were draft copies of records duplicated elsewhere. Still others have very transitory value (check stubs). Others had reached their scheduled disposition and contained highly confidential, personally identifiable information and should have been protected in secure storage, not co-mingled with records from other offices. Based on the inventory of the basement storage provided by the county officials, we agreed that the records identified to us as being stored there could be destroyed based on established records schedule. Beyond that, the time and date of the destruction isn’t ours to determine. As stated above, a custodial office is always welcome to keep records beyond their retention. Earlier this year we did remove some civil actions from the county’s custody. Those are a permanent record and need to be retained here where we can preserve the information in them. If you have questions about the conditions of the storage room or the conditions of the records destruction, I suggest you refer to Franklin County officials. I appreciate your concern for these records and for our state’s history. The staff of the Division of Archives and Records share your concern. Our careers are dedicated to identifying and saving public records of our state. We work hard every day to preserve and to make available public records from all across government, and we already have a very large collection of Franklin County records in original and microfilm format. Email to this address may be subject to the North Carolina Public Records Law (NCGS 132) and may be disclosed to a third party by authorized state officials. I thank you for your thorough and timely response to my inquiry. I’m well aware of the work you and your staff do at the NC Archives, the value of that work, and the professional dedication you apply to it.I’ve spent some time in the archives and I’ve always been impressed with both the personnel and the collections. I’ve spent the weekend investigating this issue and while I’m far from arriving at any great conclusions, there are at least two point regards to your agency’s involvement that I can’t resolve. “The State Archives of North Carolina has taken possession of 15 boxes of civil and criminal case files, 4 volumes of Justice Dockets, Criminal Court (1960’s), and 1 volume of Records of Magistrates (1880’s). These records were in better condition than the records that remain in the basement. These records will be preserved by the State Archives. The first paragraph states the NC Archives retained 15 boxes of materials that were “in better condition” than others remaining in the basement. The second paragraph strongly urges “immediate action [to] destroy these records” (i.e. the records remaining in the basement), based on health and safety concerns. Based on the report provided by Sarah C. West, retaining ANY documents is ill-advised due to contamination risk. The documents in the 15 boxes retained by NC Archives were from the basement, had not been decontaminated, and therefore were NOT in better condition than many of the remaining materials slated for destruction. The logic is arbitrary and irrational. Either everything was contaminated beyond salvation, or many (if not most of) the intact documents remaining in the basement could have been salvaged. This question needs to be answered, as I believe it gets to the very core of the outrage. If you can answer this to the community’s satisfaction without using the circular logic so far applied to previous rationalizations, you may go a long way toward deflecting the negativity that has arisen around this issue. I thank you for your time and attention. County officials were advised by my office that, as with any other series of records that were not scheduled to be retained permanently, they could elect to retain or transfer non-confidential records to another local entity, but we advised them against that course of action due to the conditions of the records as reported in Ms. West’s letter. Based on the inventory provided by the county officials, we saw no other records of permanent value. The final decision to destroy the records and not elect to do anything else with them was a county decision, not ours. Franklin County is not alone in storing records in substandard conditions. On occasion the State Archives has removed permanently valuable records from poor environments, brought them to Raleigh for evaluation and reformatting. Records that have been damaged by natural disasters in NC have been salvaged for reformatting because the originals posed too great of a threat to retain, but the information needed to be saved. The records in question from Franklin County will be evaluated and, most likely, reformatted to retain the information. I apologize if any responses provided by our office seems to have “circular logic” as mentioned below. The retention and disposition of public records is always a joint effort between our office and the custodial agency. In the case of Franklin County, that included a number of county offices, as well as the Administrative Office of the Courts, who have ultimate authority over records created by the clerks of superior court. Each office has a role to play in maintenance of public records, and I can only speak to our agency’s role in this process. Our office works closely with AOC on issues relating to court records, and we did put great weight on their professional opinion as to the conditions in the courthouse storage areas and impact on the records stored there for decades. Thanks to friends, I got a hold of some documents posted by the North Carolina Genealogical Society, that are integral to the story of the destroyed records in Franklin County. I am reposting those documents in the timeline I have laid out below, and at the end of this document. If anyone has anything additional to add, I would certainly appreciate it. I have a feeling this is just the tip of the iceberg. August, 1964 – “Franklin County Records Inventory and Schedules” conducted by the State Department of Archives and History, Raleigh, N.C. This document (available here: FranklinCtyRecordsInventory09-1964) is a 50-year-old document detailing the contents of the Franklin County Court House records, and indications from NC Archives on which materials are to be disposed of, how, and when. This document is crucial in understanding what follows below. In effect, what happened, is that in 1964 the NC Archives gave recommendations for the destruction of materials, but for some reason the folks in Franklin County chose to ignore the instructions, and saved the materials in the basement. 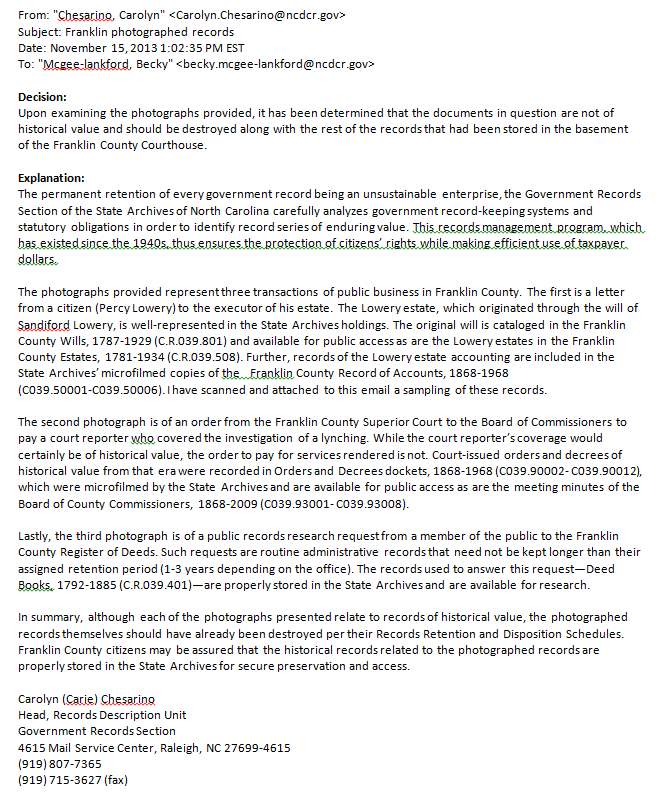 This document comes back into play in October 2013, and is used as the basis for the folks in the 21st century NC Archives, strongly urging destruction of what the community in Franklin County deems to be a critical records of their cultural heritage. May, 2013 – Franklin County Clerk of Superior Court, Alice Faye Hunter resigns. A new Clerk is appointed; Patricia Burnette Chastain. Mrs. Chastain discovered that the basement of the courthouse has been abandoned for many years. Upon opening the basement she found old documents, books, and records in a state of disarray, some destroyed by mold, some in boxes, some piled and strewn on the floor. Neglect and water damage, repairmen periodically in and out of the room without concern for the arrangement of documents, and failure of some of the boxes, resulted in an unorganized, unhealthful mess. At some point during May, 2013, Ms. Chastain contacted Diane Taylor Torrent of Franklin County Heritage (a volunteer association of amateur and professional genealogists, historians, and citizens interested in Franklin County history) in order to assist her in assessing the historical significance of the materials, and (ostensibly) to determine what should and could be salvaged. A cursory examination revealed that there were documents in the room from many Franklin County agencies, including; the court as well as register of deeds, county finance, board of education, sheriff’s office, county jail, elections board and others. Some records dated back as far as 1840. May 16 – The Heritage Society of Franklin County, NC, presented a program to its membership along with members of the community to discuss the best way to proceed. Present were local historians, genealogists, friends of the library, the arts council, the new Clerk of Court (Ms. Chastain) and County Commissioner Sidney Dunston. All present were shown photos of the basement and the condition of the records. May 25, 26, & 27 – Ms. Chastain and Ms. Torrent spent three days removing trash, broken furniture, discarded carpet, etc. from the basement, so as to make space to reach and work with the documents. The following is a description of the early investigation, accounted by Ms. 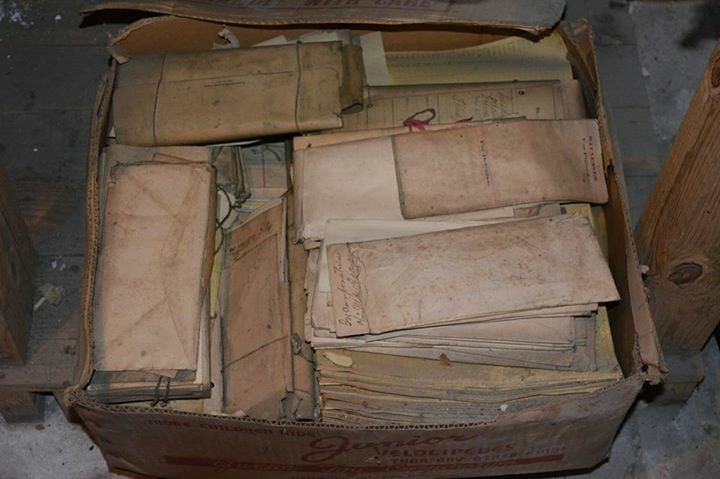 Torrent of Franklin County Heritage Society; “Immediately we found Chattel Mortgages from the 1890’s, court dockets from post civil war to prohibition, delayed birth certificate applications with original supporting documents (letters from Grandma, bible records, birth certificates, etc), county receipts on original letterhead from businesses long extinct, poll record books, original school, road and bridge bonds denoting the building of the county, law books still in their original paper wrappings, etc., etc. etc. The list goes on and on. Our original feelings of shock that the records were there and in such bad condition led to feelings of joy that they were still there and that someone had thought to retain them for us to discover so many years later. June 2013 – Ms. Torrent contacted the County and requested new, durable records boxes, to replace the recycled office boxes and liquor store boxes the team of volunteers working on the project had been using up to that date. She received 40 boxes from the County. – According to Sarah Koonts letter of October 29, 2013 (linked above), two representatives were sent on August 21, 2013. These were NC Archives employees Tom Vincent and Carolyn “Carie” Chesarino. – At some point, Carie Chesarino and Sarah C. West; Safety and Health Specialist, NC Administrative Office of the Courts, also visited the Franklin County Courthouse, as is shown in Ms. Wests’ report of October 21, 2013. See that email to the left. August, 2013 – August 5, 2013 Steve Trubilla, on behalf of the Franklin County Heritage Society, made a request at the County Commissioner’s meeting, to provide adequate space for the preservation to continue. Within the same time frame, JM Dickens, a local business owner, donated the use of office space across the street from the courthouse. Additionally, Franklin County citizens donated supplies. The Franklin County Commissioners agreed to provide electric and water to the donated offices for six months. Holt Kornegay, Franklin County Librarian, attended the August meeting of the Heritage Society and offered to train volunteers to use a computer program designed to archive the records so that they would integrate into the existing system and be accessible to the public. A request was made to The United Way to supply the Society with computers and Steve Trubilla donated a scanner/copier. August 13 – 16 – Diane Taylor Torrent was out of town on business. August 15, 2013 – An issue of proper insurance arose, temporarily stopping progress. Superior Court Judge Bob Hobgood offered to pay for the insurance for the 6 months that the offices were in use. During this general period – The Heritage Society was told to “Stand Down” by County Management (it is unclear who “County Management” refers to, whether it was Chastain, the County Commissioners, Angela Harris, the Franklin County Manager, or just who.) The reasoning for this order was for the need to preserve “chain of custody” for sensitive materials like adoption records, birth records, etc. This concern arose erroneously, according to Ms. Torrent, due to the use of recycled boxes with contemporary labels, which were used to contain much older documents that were not related to the labels on the boxes which contained them. Nevertheless, the order to cease working was given until all the county agencies with documents in the basement could be contacted. Sometime prior to August 16, 2013 – At some point during Ms. Torrents few days long absence, someone allowed access to the basement and to the donated room. According to Ms. Torrent, “It was now that I discovered that during my absence, access had been obtained (not through chain of command and the Clerk of Court) and county management (eds. note, this statement implicates Franklin County Manager, Angela Harris) had allowed people from the elections board, education, register of deeds and the State Archives and others to go through the basement and the office and remove items that they deemed to be under their control. Items were strewn about the office floor and boxes that had been carefully stacked were opened and askew. ALL of the new white file boxes were gone, taken by the State Archives. There was no way of knowing who took what or what was missing. No one had left a log. After August 16, 2013 – Mrs. Torrent was allowed limited access to the remaining documents in the basement to do a cursory inventory of what remained. According to her reports, she was not given access or time to do more than simply label the remaining boxes with a rough idea of what was in them. None of the many ledger books were opened or reviewed. At some point it was discovered that North Carolina State Archives personnel removed all the new white boxes containing some of the salvaged documents (these are the boxes that had been requested in June, to replace recycled boxes) to the North Carolina State Archives in Raleigh. October 10, 2013 – Diane Taylor Torrent provides, at the request (date unknown) of Patricia Burnette Chastain and officials at the North Carolina Archives, a partial inventory of the documents contained in the Franklin County Courthouse basement. Of course the supplied inventory is incomplete, as the work had barely begun when the Heritage Society was ordered to “Stand Down”. October 21, 2013 – Sarah C. West, Safety and Health Specialist, NC Administrative Office of the Courts, provides to Patricia Barnette Chastain, Franklin County Clerk of Court, her full report on the state of the basement and associated water damage and mold damage throughout the building. The document is available here (West2Chastain10-21-2013), but in essence Ms. West, a health and safety inspector – not a historian – recommends the destruction of all documents in the basement, many in the building’s Law Library, and more in Judge Hobgood’s office – on public health grounds – due to the presence of mold spores, which have contaminated every crevice and article of paper in the building. October 29, 2013 – Rebecca McGee-Langford, Assistant State Records Administrator, Government Records Section Manager, North Carolina State Archives, sends a letter to Patricia B. Chastain, Franklin County Clerk of Superior Court, Louisburg, N.C. In this letter (found here: Koontz2Chastain-10-29-2013), she states that she provides a “detailed listing of the records stored in the courthouse basement”. However, this statement cannot be true, as no single agency or individual has had access to the basement or the records in order to compile a “detailed list”. The Heritage Society had more time with the materials than any other entity, but they were ordered to “stand down” as soon as their work had begun in earnest. Following her claim of “a detailed list”, Ms. McGee-Langford restates the destruction schedules detailed in the August 1964 document referenced at the beginning of this post. Following this letter from Ms. McGee-Langford at the NC Archives, Ms. Torrent inquired, first to the County Commissioners, then to her state representatives, then to the Governor himself, why the documents retained in “pretty” clean boxes were judged safe to be carried off – even though they had originated from the same contaminated environment as all the other records (still contained in recycled boxes), when the inspector’s report clearly stated a contamination risk by mold particles invisible to the naked eye. Ms. Torrent got no response, except that the NC Archives representatives deemed these records “clean”. Ms. Cherisino then goes on to cite three examples of records from the basement, which in her opinion are of little historical value, or are redundant to copies that exist in the North Carolina State Archives, as supporting her decision and her logic. Just three documents, from many thousands that were never examined in the basement at the Franklin County Courthouse. Friday, December 6, 2013, after 5:00 PM – Without prior notice to either the Franklin County Heritage Society or other citizens with an interest in preserving these materials, a crew (unknown exactly who they were, who hired them, or what agency they may have been working for) showed up in full Hazmat suits, in white, state-owned vans, and under the silent, cooperative protection of the Franklin County Sheriff’s Department. They requested and gained access to the Franklin County Courthouse basement. Over the course of a few hours they carried away all the contents (all boxes, papers, and all the ledgers – everything.) They removed these materials to the Franklin County Animal Shelter incinerator and began a many day’s long process of burning the materials. Email from Chesarino to McGee-Langford, dated November 15, 2013, see image below. 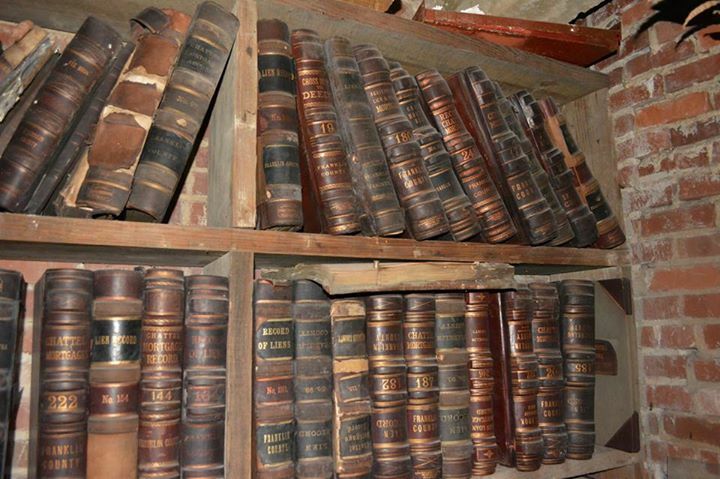 160 year-old Documents Intentionally Destroyed in Franklin County, N.C. I rarely re-blog, but this one deserves being spread far and wide. – This summer a new Clerk of Court in Franklin County discovered a trove (an entire roomful) of documents, some dating back to 1840, in a previously sealed room in the Franklin County, North Carolina Court House. – Recognizing the historical value of these materials, she contacted the local historical society to assist in reviewing the materials, preserving them, and inventorying the materials. – In August of this year, the Local Historians – realizing they may be beyond their depth in regard to the value of some of these materials, contacted the North Carolina Department of Archives, seeking guidance on proper preservation techniques and value assessment. And that’s when things went hinky. The NC Archives group stepped in, pulled rank, and immediately halted all work on the project, stating that they were going to study the challenge and come up with “Next Steps”. Months passed and nothing got done, while the documents languished in the basement of the courthouse. Then, on Friday, December 6, 2013, at 6:00 in the evening (after all the county workers had left, and with no notice to the local historical group involved in the project), a team from the North Carolina Archives swept in and confiscated ALL the materials – with the cover of Law Enforcement! They took the documents to the County Incinerator, and methodically burned EVERYTHING. They did this while a few locals stood by, not understanding why or precisely what was happening. [CORRECTION: Added 01/06/2014 – The folks who swept in to claim and destroy the documents were NOT from the NC Archives. A team from the NC Archives did seize many boxes of documents from a workroom managed by the Franklin County Historical Society – but they were NOT directly involved in the destruction of the materials in the basement. Every book, deed, will – every photograph – every piece of paper in that room was incinerated that night. No explanation has been given, and no media attention has asked any questions. Boxes of documents from the Franklin County Courthouse seized and burned by the North Carolina State Archives. After the Civil War (after emancipation), a lot of large land-owners deeded out substantial tracts of land to their former slaves. These former slaves had demonstrated to their masters that they were loyal, hard-working, and would continue to farm and contribute to the plantation collective as they always had. The only difference is that they would own the land they worked, and earn a somewhat larger income as a result of their efforts. During reconstruction, a lot of land holders, both black and white, had difficulty paying very high property taxes imposed by Federal Occupiers. In swept speculators and investors from up North (these people have come to be known as “Carpet Baggers”.) 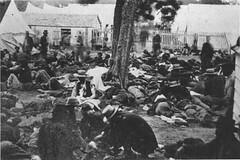 They often forced white land owners to sell out at a fraction of the actual value of their property. In the case of black land-owners, sometimes all the Carpet Baggers offered was threats. The effect was the same – a vast transfer of wealth from titled property owners to new people who became, in the decades of the late 19th and early 20th century, among the wealthiest people in the South. How do I know this? Some of my own ancestors were Carpet Baggers from Maryland. They made a small fortune after the war, stealing land, setting up mills, and effectively re-enslaving two or three generations of both poor-white and black natives of Halifax County, North Carolina. My suspicion is that in and amongst all those now destroyed records, was a paper trail associated with one or more now-prominent, politically connected NC families that found its wealth and success through theft, intimidation, and outrageous corruption. Prove me wrong. You can’t. They destroyed the records. 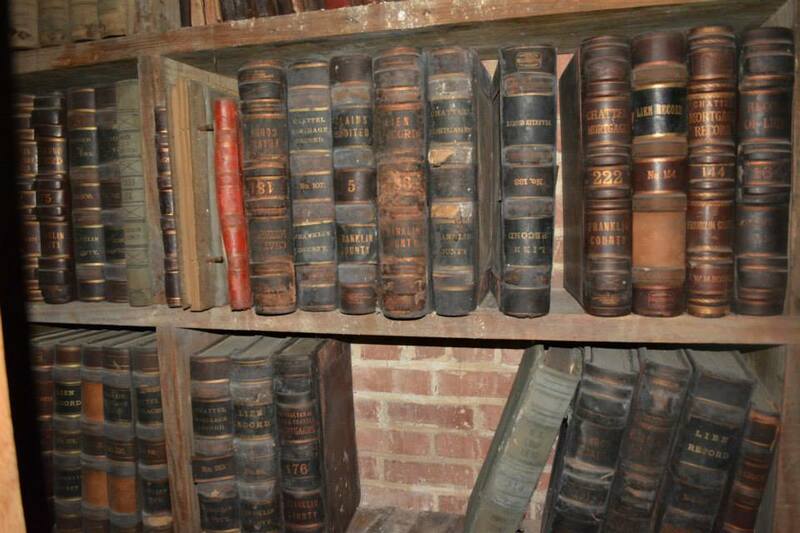 Shelves of record books from the Franklin County Courthouse seized and burned in December, 2013. 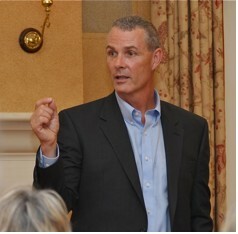 John Hennessy Speaking at the National Sporting Library, Photographer Douglas Lees. A few days ago I began reading John Hennessy’s “Return to Bull Run” (1993, Simon & Schuster), which is considered by people who know about such things to be THE definitive work on the topic of the Second Battle of Bull Run (Manassas) which occurred in August of 1862. Mr. Hennessy is a historian with the National Park Service at the Manassas National Battlefield. He’s authored several books on various Civil War topics and he is a regular staff contributor to the Civil War blog “Mysteries and Conundrums” – which is where I learned of him and his book. Just to get this in perfect context, this book consists of the following; 472 pages of thoroughly researched and documented prose narrative plus multiple maps; 88 pages of footnotes; 3 pages of “Order of Battle” (which provides the arrangement and ranking personnel and brigade units on the field); 24 pages of bibliography; and 10 pages of Index notes. This book is about a single battle, composed of three major engagements, which occurred over the course of just three days. “Return to Bull Run” takes 607 pages to discuss and document the seminal events of just three days of a war that lasted four long, complicated years! The people who tackle these subjects have spent their lives and the entirety of their careers studying the subject. I spent my life and career chasing the idea that the corporate world would eventually recognize and reward me for my creativity, hard work and unique contributions. Instead, I got a stern reminder that Capitalism is all about consumption. Once they consumed the best, most productive intellectual years of my life, they spit me out like the indigestible gristle on a well-gnawed chicken bone. Indeed. What in the hell do I think I’m doing? I’m taking a deep breath. I’m thinking. 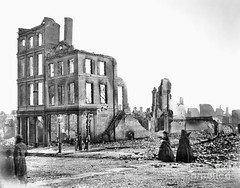 I’m not a Civil War scholar – not a historian. I never will be. That decision was made for me when I was fifteen years old when my grandfather told me in no-uncertain terms that history majors and archeologists could not earn a living, could not live in homes of their own, were perpetually poor. I just cringe when I think of how he broke my heart with those words. I cringe to think about how wrong he was and how different my life might have been. It was the ONLY thing I think Papa was ever wrong about. He was so right about so many things – and so all-knowing – I just gave up my dreams and I did what he wanted me to do. I went into the dreamless, soul-crushing world of business. And I was miserable. And today I am broke, and way under-employed. But despite all the wasted time, I am now doing what I wanted to do all my life. And I am happy, creatively and intellectually fulfilled. Finally. But I digress. I’m still no historian. Here’s the thing that I need to keep reminding myself. I don’t need to be a historian! God knows there are countless well-written, well-researched books about the Civil War. I don’t need to think that I am in any way competing with them. What I need to do is tell the truth – tell William’s side of the story. Tell the story he could not tell because of the social and political risk to his life, his family, his future. There’s probably not a historian around who can tell that story as truthfully as William’s own blood kin. That’s my obligation to William. Tell his story. I don’t need to fight the whole damn Civil War all over again! I just hope that the real historians out there will see it that way, and make room on their shelves for a little book about a great big man who lived in the conflicted middle ground between loyalty, morality, and the immobilizing power of intimidation. A man who went on to try to bring wisdom to future generations so that the Civil War would never have to be fought again. A man who still has a great deal to tell us, despite the passing of more than 150 years since he went completely silent on the subject of war, of slavery, of a social and civil fabric ripped wide open by fear and ignorance and arrogance. A man who still speaks to me every day and every night in my dreams. He wants his story told. Even if I’m hopelessly intimidated by him – and by all those insanely smart historians out there on the haunted battlefields where my great-great-great-great-grandfather huddled in the cold; shoeless and hungry, praying he survived another day – if only just to have a chance to have his story told. For months now I have been parsing through William Ellis Jones, II’s Civil War diary, plucking details, context, and hidden subtext from his scribbles. 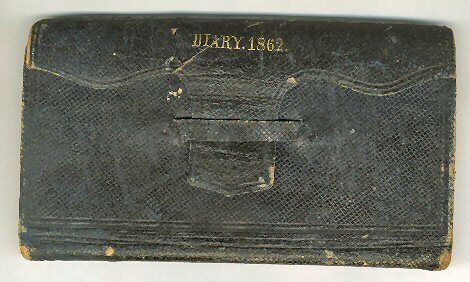 While the diary has been previously used by many Civil War scholars and is quoted in a countless list of books and articles about the 1862 Peninsular and Shenandoah marches and battles, no one to date had done a comprehensive study of the whole text. Despite my lack of academic pedigree or publishing chops, I have the advantage over most of those scholars in that I’ve spent eight years studying William Ellis Jones, II’s family history. Having those details – knowing who, where, and what he came from – has given me a really precise lens through which to examine the intent and implications of the diary’s author. That lens has allowed me to pluck meaning from seemingly benign statements. For instance; in August of 1862, William and his battery witness the advance of the whole of Jackson’s Army marching brigade after brigade into the Shenandoah Valley. 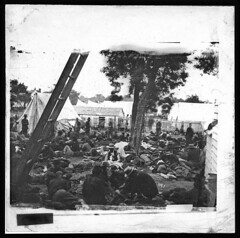 He describes the endless lines of soldiers as “stretched out to the crack of doom.” This statement appears on its face to be a simple description of a very large, ominous looking advance of troops, until you dig deeper and discover why William chose to enclose the description in quotes. Mr. Stanton used the phrase in reference to the United States’ desire to extend and legalize institutionalized slavery not only within her own borders, but to use the nation’s growing international strength and influence to extend industrialized slavery into Mexico, Latin America, South America, and beyond. 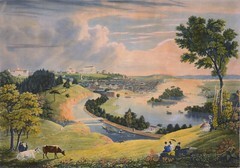 Today the idea that such an expansion of slavery was ever conceived seems preposterous to us, but a study of the antebellum, pro-slavery coalition operating inside and on the periphery of the United States Congress prior to the Civil War shows us that this kind of international expansion of slavery was exactly what the proto-Confederates intended. This was to become a central component of the United States foreign policy; if southerners could manage to wrest a majority in the House and Senate. The idea that William read this speech, was familiar enough with it to quote from it, and had a firm conceptual grasp of the idea that the massive army he was watching (and serving in) represented a real physical manifestation of the policy that Mr. Stanton warned against in 1841, is simply amazing to me. He was just twenty-four years old, and had been born and reared in a city (Richmond, Virginia), whose very foundations were laid by the hands of slaves. The diary is dotted with examples like this one; statements that show us the veiled concerns and conflicted loyalties of a less than enthusiastic confederate soldier. When viewed from this perspective, it becomes clear why William chose to never write or publish any of his own words about the War, and why he chose to rear his sons with social and political leanings that were anything but in keeping with the spirit of glorification of the “Lost Cause”. One of the most interesting facets of doing genealogy work is identifying the physical places where my ancestors lived and worked. “Place” has always been a tangible entity for me. I am tied to place as much as I am to people and their stories. To me the places tell a story all their own, and form characters as relevant to our history as any other person or thing. I think of the places that were “home” to me as a child; my grandfather’s grocery store, my grandparents bungalow next door, the railroad tracks behind the house, the woods and cemeteries that surrounded my childhood home. These places are magical to me and have infused in me a sense of home and continuity that the wrecking ball and bulldozer can’t touch. The places listed below are similar – an anchor to my past and the people who founded my generation. They represent the physical buildings and spaces occupied, footsteps still ringing in them, of those who came before me. It took me years in some cases to dig up this information, and I’ll spend years digging up more. This is just a sampling. 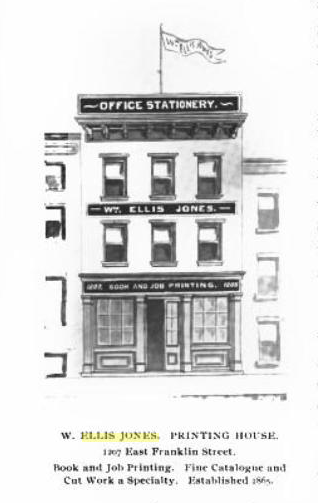 This is the printing shop where William Ellis Jones, II, (1838 – 1910), did his apprenticeship as a boy, worked at as a compositor until the outbreak of the Civil War, and then returned to in 1865 at the conclusion of the war. It was located at at “Eleventh Street between Main and Cary”. 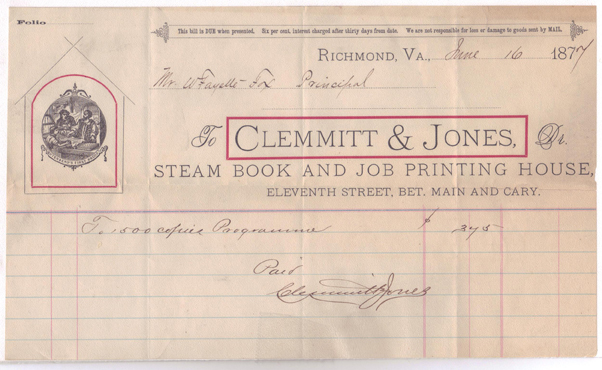 In 1879, after William H. Clemmitt retires from the business, William Ellis Jones becomes sole proprietor of the printing company. 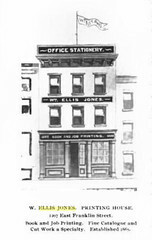 In 1903 the location of the printing company was at 1207 East Franklin Street. 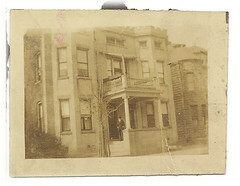 The image below is what the building looked like. I’ve got the general vicinity and neighborhood for several residential addresses for the Joneses of Richmond, but so far I have only nailed down one precise location. I believe this is the first home that Thomas Norcliffe Jones built in Richmond, for his new wife Margaret White, and their growing family. He retained the property (as a rental), and it was passed on as such to his son William after his death. 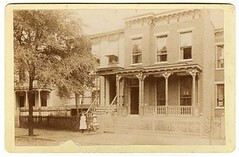 When William died in 1910 and the family’s income was cut off, I believe that Addie Gray Bowles (William’s widowed daughter-in-law) sold the Henrico property and the elegant brownstone on Church hill, and moved back to this very modest home in what is now Richmond’s Jefferson’s Ward. You can Google Earth this address and from behind the foliage get an idea of the building. When the house was built in the 1830’s the streets were dirt and this location was considered to be on the remotest outskirts of the city.